Lunch Discussion with two members of the U.S. House of Representatives - Atlantik-Brücke e.V. On June 4, two members of the U.S. House of Representatives, the Honorable Charlie Dent and the Honorable Marc Veasey met with Atlantik-Brücke members and Young Leaders alumni in Frankfurt for a lunch discussion about the current challenges facing the transatlantic partnership. 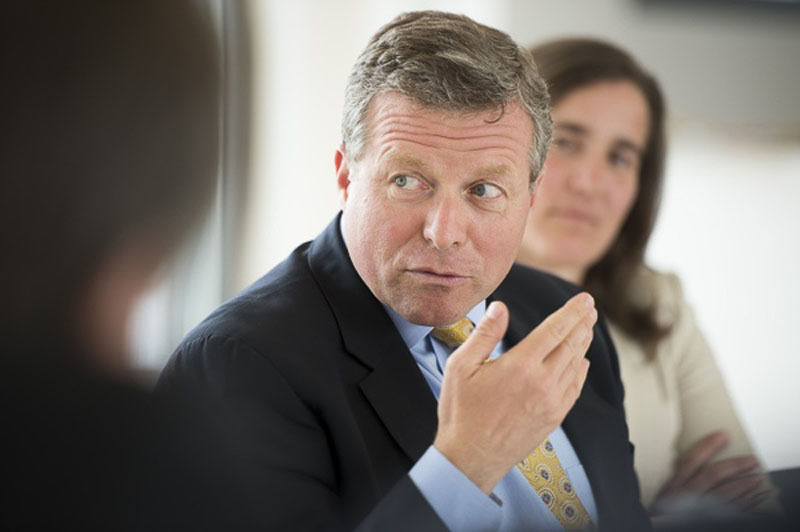 Charlie Dent has been a member of the House since January 2005. Marc Veasey has been a member of the House since 2013. The event was held in cooperation with Haus & Grund Frankfurt am Main.